&apos;Seamlessly blending professionalism with the personal touch&apos;. I am a banker by profession who, by some strange quirk of fate, found myself managing Welham Jones following my early retirement in 2003 and have discovered that most rewarding of all in my career change has been the opportunity to serve people at a difficult time in their lives. Furthermore, many of the business management skills gained earlier in my career have fortunately also proven relevant and beneficial. I have long believed in community service. I joined Rotary in 1992 and have served my club (Sevenoaks Amherst) as President, Treasurer and chair of Fundraising and Club Service. My interests, when time permits, include photography, cycling, DIY and aviation. I hold a PPL/IR. I joined Welham Jones back in November 2010 and haven&apos;t looked back. I previously worked in email marketing and design in London and gained a BA (Hons) in Design Management after leaving school. I have been fortunate enough to bring these skills with me and I am able to design and help promote Welham Jones both online and print, along with supporting community activities. 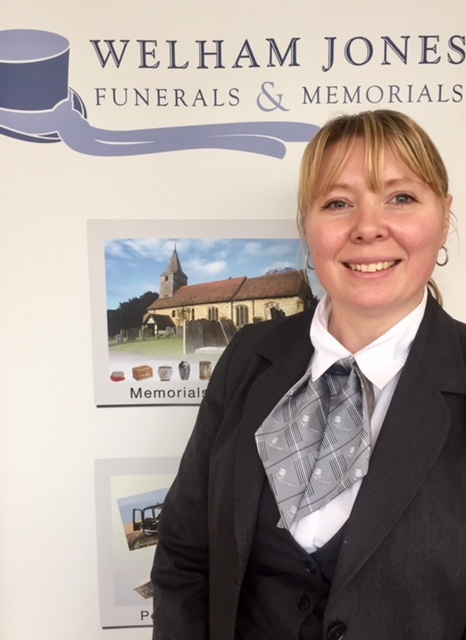 Since being at Welham Jones I have gained a Foundation Degree in Funeral Science from the University of Bath which has helped me with my role as Funeral Director and gain a far better understanding of the industry as a whole. Outside of work I enjoy spending time with my daughter and my dog (you may see him from time to time in the branches!). For me, my family is my world and I love spending time with her and doing activities together from cooking, walking, days out etc. After losing family members very close together, I applied for, and got, a job as funeral arranger. A year later I trained as a Funeral Director and continued in this role for 10 years. For the past 7 years, I have been working in a logistics and mortuary role whilst continuing to cover as Funeral Director. Having spent 17 years in the industry I joined Welham Jones about 2 years ago and still enjoy coming to work. This feels like “Home” and I could not imagine doing anything else. When not at work, my hobbies include travel, motorcycling and reading. Most of my spare time is taken up with excursions and adventures with my Grandchildren. I have been working in the funeral business for nearly 10 years following a nursing career spanning 27 years. Funerals are very much a family affair. As well as working with the Welham Jones family I have a brother, sister-in-law and a partner all employed within the industry. I consider myself very fortunate to have enjoyed my working life so far. My interests include eating out, going to the cinema, listening to music and spending time with my grandchildren. I would love to see more of the world. With four years at Welham Jones I am still relatively new to the funeral business. Previously I spent four years raising money for Great Ormond Street Children&apos;s hospital. To arrange a funeral the families say is everything they had hoped for, is a great privilege. I shall continue to learn and develop with help from my experienced and dedicated colleagues. Prior to joining the funeral profession, I spent 25 years working for Barclays Bank in the City within the corporate sector. During that time, I also worked as counter Manager in the Sevenoaks branch before moving back to London and corporate banking. After taking voluntary redundancy, I decided to look for a local job, one where I could meet and help people. I’m married and live in Sevenoaks and in my spare time, I enjoy cooking and entertaining. I have worked at Welham Jones&apos; Chislehurst office since 2004 and during this time have built up a good relationship with local clergy and several nursing homes, and am well known in the local community. I am in a civil partnership and live very close to the office, during which time I have arranged funerals for local people of all ages and faiths, and in many different and sometimes sad circumstances. The families I serve are always encouraged to keep in touch [with me] following the funeral, and many find it is a comfort. My Cruse [bereavement] training helps me offer advice and support to the grieving and the bereaved through what is a very difficult time in their lives. 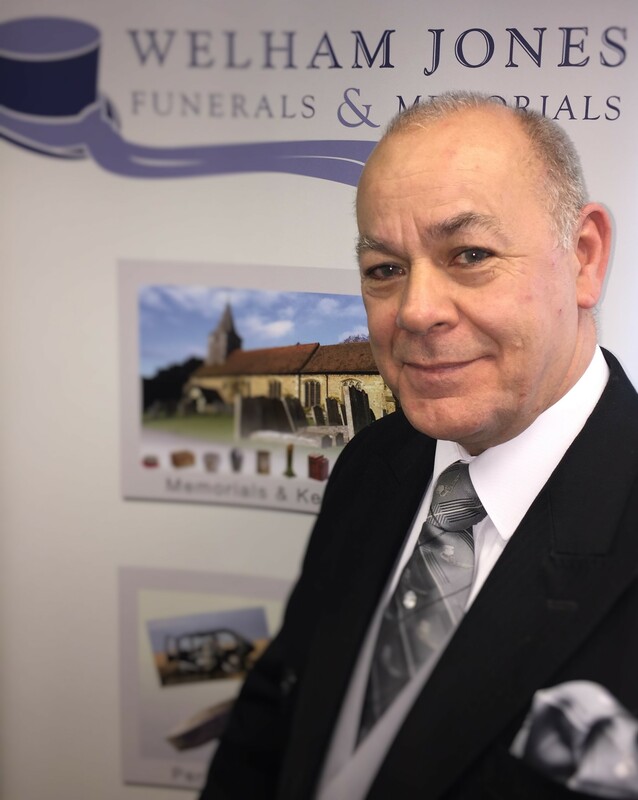 I am a funeral arranger at the Borough Green branch, having worked for Welham Jones for 5 years. I previously worked in administrative roles at GlaxoSmithKline and Lafarge Cement, but once my children were older, I wanted a job where I felt I could make a difference. At Welham Jones I have that and with their support I have gained the NAFD Diploma in Funeral Directing. When not at work, I enjoy socialising with family and friends as well as going to the gym and the theatre. Prior to joining Welham Jones, I worked as an EA/PA in the City for over 30 years. After redundancy in 2017 and taking some time-out, I knew that I wanted to work locally, in a role where I could hopefully make a positive difference to people. A friend told me that Werlham Jones were looking for a Funeral Arranger at their Chelsfield branch, and I knew instantly that this was the vocation I was looking for. I have only been here for a few months, but already know that this is where I want to be, and this is exactly what I want to be doing. I know I have a lot to learn, but as long as I can make what is arguably the worst time in most peoples lives a little more bearable and less daunting, then I consider myself to be very fortunate. I moved to Swanley in 2007 after my husband left the Parachute Regiment and I spent 3 years at home with my children before getting a job in the funeral directing industry in 2010 because it feels rewarding to help families at one of the most difficult times in their life. They can only do this once and it needs to be done right. Every family I meet is different and I think it’s important to try and help them personalise a service fitting for their loved one. 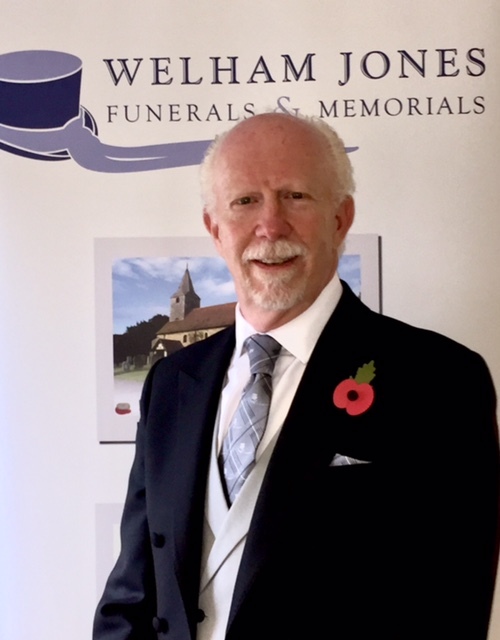 With Welham Jones’ support I have passed the NAFD Diploma in Funeral arranging and am presently studying for the NAFD Diploma in Funeral Directing. As a member of the local community I have good relations with local church ministers and businesses. Most of my spare time is spent with my family and friends and we have a busy and active life. My husband builds and flies model aeroplanes so we attend many events associated with his hobby throughout the summer, heading off for the weekend with our caravan. I also have two giant French lop rabbits. Prior to becoming a Funeral Arranger I was a gym manager for 10 years followed by bar manager for a local catering company. Each job I’ve had has been in total different industries yet have the same principle about them, which is being involved with customers first hand & providing a service. I love to socialise, meet new people, experience different lives & cultures and most of all help others in any situation. So for me working at Welham Jones is right up my street. I get to work alongside a great team, meet lots of different people, experience lots of different types of faiths & cultures and above all help families at a difficult time in their lives. In my spare time, as well as participating in a few charity events throughout the year, I love most sport, reading, catching up with amazing friends & spending precious time with my large family & 3 gorgeous boys. I have worked with Welham Jones since November 2016 and moved to the Tonbridge branch when it opened in September 2017. I gained a BD in Theology at King’s College, University of London and a PGCE at the Institute of Education, University of London and for the first 28 years of my working life I taught in secondary schools in Tonbridge, Tunbridge Wells and Sevenoaks. I am a Reader in my local church and as such have built up good relationships with local clergy and churches. I am also licensed by the Bishop of Rochester to conduct funeral services. Outside of work, I enjoy spending time with my husband and 3 daughters, Latin in-line dancing, cooking, socialising with friends and holidays in Spain. I have been working at Welham Jones for over 10 years as a chauffeur/bearer and mortuary attendant. Prior to this, I worked in a bakery and was a former Mobile DJ. Now married with three children, this takes up most of my time, but I enjoy cycling when I can and I am still a keen music collector. I have been at Welham Jones for nearly 2 years, where I work as a chauffeur/bearer and mortuary attendant. With other jobs in between, including care work and bar work and extensive travel in Australia & New Zealand, I have almost 20 years’ experience in the Funeral Industry. I am married with four children and love spending time with my family at home and on days out, as well as meeting up with friends. Having worked at Welham Jones for over 2 years as a chauffeur/bearer, I also respond to out-of-hours calls. 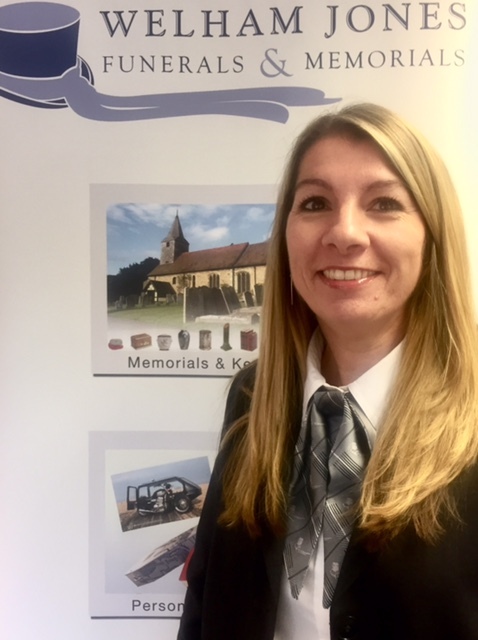 Previous jobs include HGV driving, however, I feel that I have found my niche within the funeral industry and the work that I do and look forward to progressing my career further. In my personal life, I am a foster carer and enjoy weight training.